Sunday's launch features week 16 polishes from Painted Polish and Pretty Serious (not yet received from the brand, swatches will be added when I receive the polish). 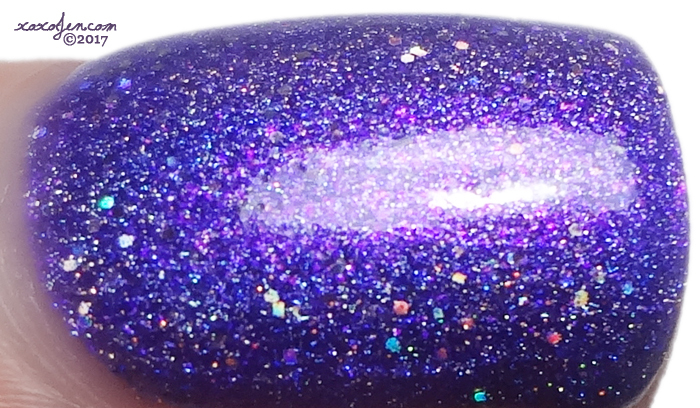 A vibrant purple based polish jam packed with holo magnificence! I wore two coats with topcoat for the photos below. 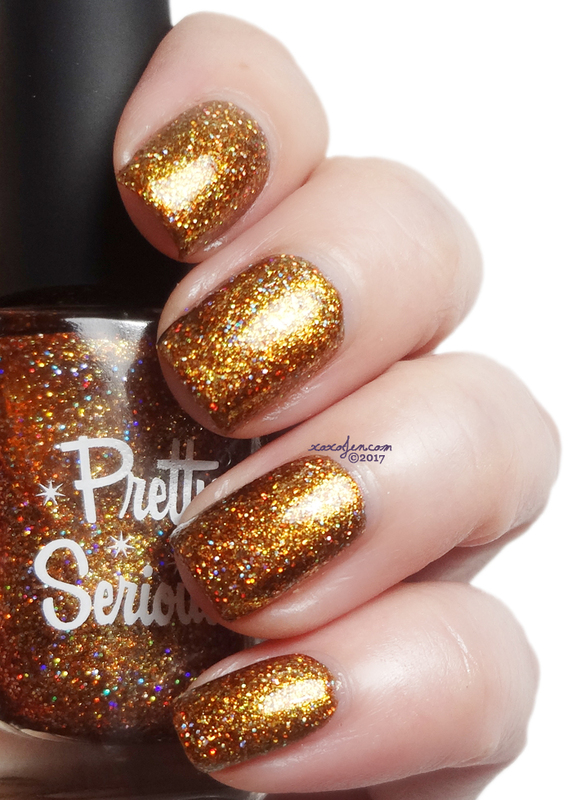 I adore this polish, it might be my favorite yet from the RTPC series. 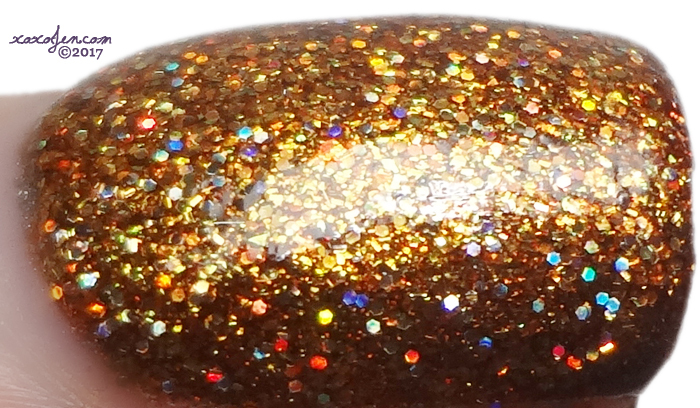 A copper/bronze base packed full of holo micro glitter.